Courtesy of Kaia Stern Professors Kaia Stern (second from left) and Bruce Western (right) stand with students from the 2008 iteration of the Prison Studies Project. “It was wildly different than any other class I’ve taken,” Catherine M. Sirois ’10 says. It is 7:00 a.m. on a Thursday morning in 2008, and while the rest of campus is just waking up, several Harvard students—along with two faculty members—are in a minivan on their way to the Massachusetts Correctional Institution at Norfolk. They make this journey once a week: the one-hour drive is followed by a check-in process, after which they are finally able to meet up with the rest of their classmates and begin discussing the week’s readings. The Prison Studies Project was founded at Harvard University in 2008 by professors Kaia Stern and Bruce Western. 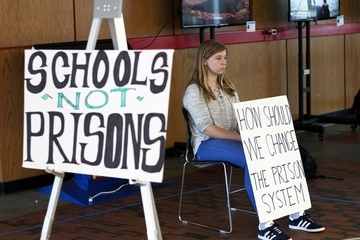 According to the project’s website, its goals are to “promote informed conversation about the challenges of mass incarceration” and to “awaken the broadest possible public to the ways we punish, and to reimagine justice in the United States.” The project launched with a class called “Race, Poverty, and Community Justice,” offered jointly to Harvard students—both from the College and graduate schools—and to incarcerated students enrolled in Boston University’s Metropolitan College. Classes associated with the project took place from 2008 to 2014 in both MCI-Norfolk, a men’s facility, and MCI-Framingham, a women’s facility. Albert J. Maldonado, an alumnus of the Divinity School, vividly recalls a preliminary meeting for “Ethics, Punishment, and Race,” the 2013 iteration of the class taught by Stern. The class garnered far more interest than its structure could support; as part of the application process, Stern had each student introduce themself and explain their motivation for wanting to participate. Among Espinoza’s and Maldonado’s classmates was Pony Holmstrom, who was then two semesters into college classes offered at MCI-Framingham by the Boston University Prison Education Program. She was one of six students handpicked by the program to participate in the class. 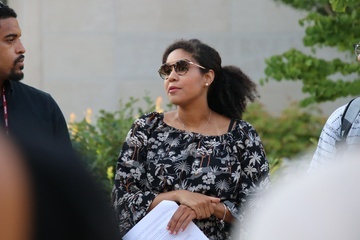 Professor Stern, or Kaia as she was known to the students, “worked really hard to ensure that we were all humanized to one another, that the Harvard students coming in could get a feel of who we were, that we weren’t just prisoners,” Holmstrom says. Stern would start each class by going around in a circle and inviting each student to share a challenge or a success from the past week of their lives. “It was a really nice way to allow us all to get to know one another, warm things up, so that we could learn, you know?” Holmstrom says. After completing the class, Holmstrom continued to serve her sentence at MCI-Framingham. During the four and a half years she was incarcerated, she took other classes through the Boston University Prison Education Program and earned a 3.98 GPA. She also worked two jobs at the prison, one in construction and the other in maintenance; her duties included making electrical and plumbing repairs. 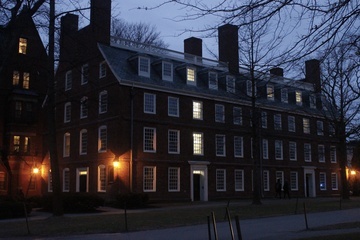 Many of Stern and Western’s former students at Harvard, meanwhile, cite the class’s influence not only on their perspectives, but also on their career choices. Faraino, who took the class as an undergraduate, says the course influenced her decision to go to law school. She received her law degree in 2016 from the University of Chicago. “I used what I learned in the course to apply to pro bono cases,” she says. Faraino’s team was ultimately successful in overturning Crawford’s conviction. He is now a free man. The classes stopped running in 2014 due to a lack of funding. This spring, for the first time, Harvard hosted a conference to discuss prison education; Stern was one of the featured speakers. PBHA also harbors a program called HOPE (Harvard Organization for Prison Education and Reform), which tutors in local correctional facilities and leads various on-campus advocacy efforts.